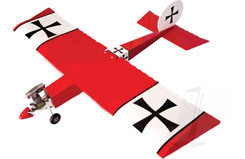 All Products > "5500167 Seagull Classic Ugly Stick 10-15cc"
Designed with the sports flyer in mind, the Classic Ugly Stick 71 is an aeroplane that's easy to fly and quick to assemble. The airframe is conventionally constructed from quality balsa and plywood to make it stronger than the average ARTF, while the clever design keeps the airframe surprisingly light. Most of the work has been done for you already. The pushrods are pre-made to the correct lengths, the motor mount has been fitted and the hinges are pre-installed then pinned for security. Flying the Classic Ugly Stick 71 inches is simply a joy. With reduced control throws it makes a great choice as an aileron trainer. Increase the movements and it's capable of a wide range of aerobatics to delight the most experienced sports pilot. • Lightweight, high quality balsa and plywood construction. • Attractive, easy-to-track colour scheme. • Covered in genuine gloss finish Oracover film. • 1 x 10 - 15cc two-stroke, four-stroke or petrol. • 1 x 4-ch (minimum) transmitter and receiver combo. • 1 x propeller to suit chosen engine.